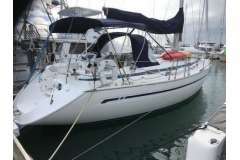 Sails Main and jib in average to better condition. 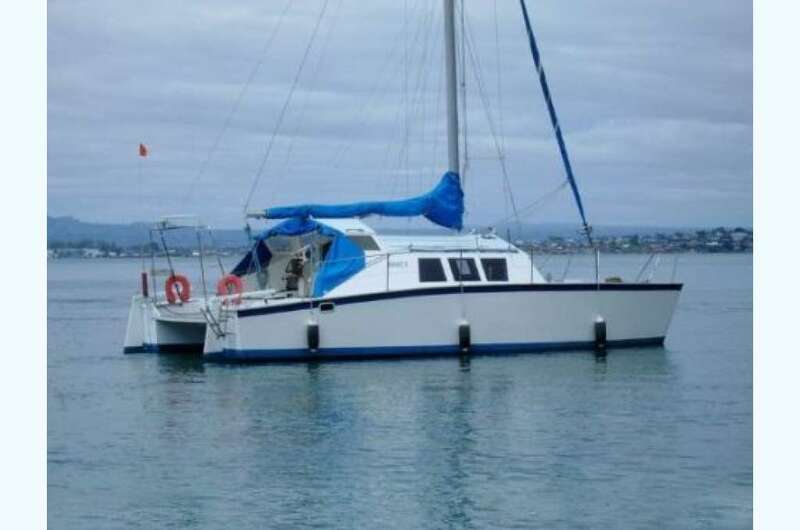 This Bishop design sailing catamaran features an almost new 30hp Beta engine, only 100hrs, an "as new" inflatable dinghy with 2.2hp Parsun outboard, only 10hrs use and bowthruster to assist slow maneuvering. 3 Double cabins and 1 single, hot and cold water, full shower, fridge and filtered drinking water. 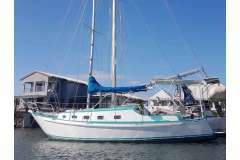 This is a large volume boat, great live-aboard or family cruiser.